In today’s age of growing technology and broadening skill sets in the Philippines, co-working spaces are undeniably in full throttle. Employees are not only roistering the flexibility of working from the comforts of their home, hence, they are also given the chance to exhibit their skills without the need to move to larger cities. Though one can find the motivation in setting up a home office, virtual offices are rapidly becoming the standard for remote employees. Choosing to work in a virtual office will definitely aid freelancers, budding entrepreneurs, start-up businesses, and veteran business people to proliferate, develop, and nurture their businesses to expand and grow in a short span of time. In addition, co-working spaces also offers more advantages, than a regular office, that truly rationalizes why it can surely make your company and your employees more efficient and productive in work. However, the swift escalation of employer needs for the perfect virtual office has made these work places increase relentlessly as well. Thus, the struggle of looking and finding the perfect co-working space is tough – which needs an ample time of research. Hence, if you want a virtual office that has the seamless features of a remote work place and is impeccable for almost everyone – from freelancers, entrepreneurs, start-up businesses, and veterans, then Workplays is the perfect place to be. Workplays is a newly developed co-working space that is located in the heart of Paranaque City. What is special about Workplays is that it offers more than what other co-working space provides – which we’ll discuss thoroughly today. Workplays is a co-working space that promises to bring life and fun while maintaining focus in working. The place is perfectly designed in a calming setting that is certain to take away the stress you have in mind. Workplays’ perfect location, ambience, and community makes it different among the other co-working spaces available in the Metro. The Workplays community is jam-packed with freelancers and start-up companies that is sure to make things happen and succeed in each of their endeavors. Since it is located at BF Paranaque, it is very accessible from its neighboring cities and some provinces such as Las Pinas City, Muntinlupa City, Makati City, Alabang, Muntinlupa City, Laguna, and Cavite City. 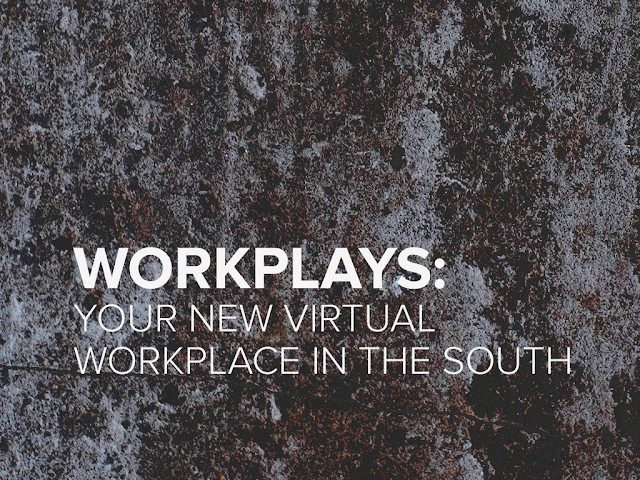 Thus, Workplays will be your number one go-to place for your virtual office needs. Since Workplays promotes life and fun while working, the place is designed intricately with trees and swings that would definitely inspire you more to focus in work. Co-working spaces are a primary place where different types of people collide with each other. Workplays is your go-to place if you want to be surrounded by individuals with a variety of ideas and skill sets that will surely help you in gaining additional knowledge and information that is useful for your business. This virtual work place is jam-packed with the best resources that you will need in order to be more productive. They have the best artisan coffee, the fastest internet connection, and an unlimited supply of water and electricity that will surely fuel everyone’s great minds. By choosing Workplays as your partner for your business success, it will surely save you time, effort, and money in the process. Additionally, the Workplays will certainly be a great help for your business’ growth and will surely aid you to conquer your goals in a span of time. It doesn’t matter if you will be co-working with them for a day, a week, a month, or for a year – the place is filled with desks, office tools, and a spacious area that are strikingly designed. Plus, these resources are all ready to use. Given these points, Workplays stands out among other co-working spaces in the country because it is absolutely helpful in building collaboration, openness, and sustainability to your business. Additionally, Workplays is a conducive work place that will surely stimulate your employees to work lively, efficiently and productively.